GemologyOnline.com • View topic - Synthetic Sources? Hi! 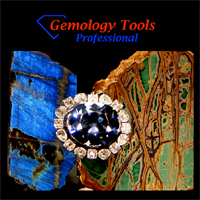 I'm a long time reader of this forum trying to better educate myself on all things gemology. In particular, I've been trying to build out a collection of really nice synthetics. I was wondering if anyone has a good sources? It seems like there are not many people growing these type of stones anymore. The only source for hydrothermal emeralds I've found is Tairus, for Ruby is Ramaura and nothing with nothing for sapphires. Do you have any suggestions? Thanks so much! Post subject: Re: Synthetic Sources? Ramaura has been out of business for several years now. When I called them Morian said they are going out of business... which is unfortunate because they were so friendly! I haven't heard this but I guess you should make a large purchase quickly, Emily. Doh! They were nice to deal with, too. 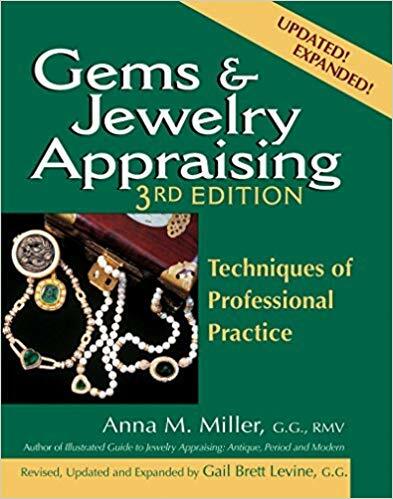 I do remember they were out of YAG and I ended up getting GGG for my faceting class. I think they're having problems finding jewelry-grade synthetic manufacturers. When I stopped by Morion's booth this year, they told me a few things. 1. Nobody produces jewellery-grade YAG anymore. There's some Nd:YAG and CTH:YAG floating around because of its use in medical lasers, but those are small rods either 4mm or 6mm in diametre. 2. Nobody produces strontium titanate or rutile anymore. They're too soft for a lot of use, and even though CZ has lower optical properties it's harder and "more desirable". Moissanite is expected to take a huge chunk out of this market segment. 3. A group of Japanese buyers bought out Morion's entire remaining supply of synthetic rutile on the first day they were open at Tucson. 4. Fewer and fewer people are producing color-change synthetics, particularly the green-to-orange and blue-to-green CZ. If they're really going out of business...then damn. THEY ARE NOT GOING OUT OF BUSINESS. I'm a newbie faceter, and wanted some synthetics to work on. I got a nice order from syntheticgems.org (including a 15 gram chunk of hydro emerald that I won't touch for a year , and some gorgeous pink ruby boules). The contact I worked with (Sunny) was friendly and helpful. The bulk of the order was hydro quartz in various colors. I've just started cutting some of the citrine, and so far so good. I also got some pretty sapphire from prettyrocks.com, but they are out of stock on most of the lab stuff. I'm glad to hear Morion isn't going out of business, they have some good looking stuff I want to try when I'm done with this batch. I really want to facet some Strontium Titanate! The dispersion is insane! Try synthetic rutile. Highest dispersion of any material! Has an RI of 2.62 and a dispersion of 0.280. Compare this to diamond (2.42, 0.044), CZ (2.16, 0.060-ish), and moissanite (2.62, 0.104). The only problem with rutile is that it's on the softer side. Both Rutile and Strontium Titanate are amazing once cut. However, finding synthetic rutile is more than somewhat difficult, so if anyone has a source with stock please share. Rubyvale gems in Australia had the cheapest price for Strontium a few years back - not sure if they still have stock but I bought a handful. Rutile is Titanium Dioxide, which is otherwise known as the pigment in white paint. Be prepared to use a lot of water to flush when preforming and cutting! It also appears to have directionality in the boule - I had problems with pitting and orangepeel on certain orientations of the stone. Mostly when cutting near the sides of the boule. Otherwise it's a reasonably easy stone to cut and polish. Strontium Titanate is less difficult, at least the pieces I've cut. No problems with cleavage or pitting that I recall. Both stones do better with high crowns - this will increase the dispersion and throw colours all over the room in the right light. I had one on display in an arena for our local gem show, and the high-pressure lights up in the roof cast amazing little rainbows all over the case. It was seeing a cut Strontium Titanate over 30 years ago that got me into faceting, and it took me some 30 years to actually cut a piece! I'll try to post a pic of my rutile later... but I ran into issues when cutting it and the crown is way too low. It still throws a lot of dispersion, but would have looked much better had the crown been several degrees higher. Just type 'crystal' in the search bar to get a list of various optical applications categories, clicking any of these categories will provide you with a list of suppliers selling crystals specifically for that given optical application. 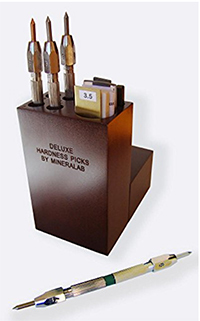 Alltogether, over 100 different crystalline compounds available, with various dopants (thus various colors) available for each.